What are the trends in new mobility in 2019? How do you turn big data into useful information for decision-making? How do cities keep in mind issues like equity when implementing new technologies? And what is it actually like to ride in an autonomous vehicle? 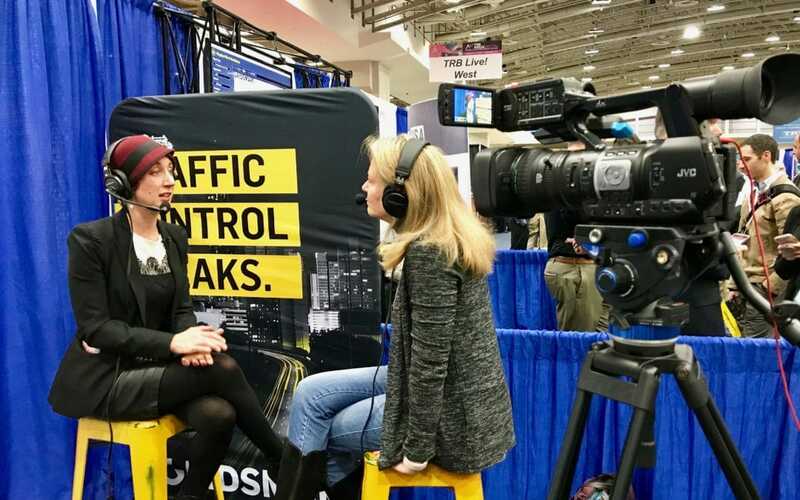 My friend Courtney Ehrlichman—a leader in intelligent and new mobility systems, founder of The Ehrlichman Group, and co-founder of RoadBotics—joined us at the 2019 Transportation Research Board (TRB) Annual Meeting this year to answer these questions (and more!) about emerging mobility and disruptive technology. 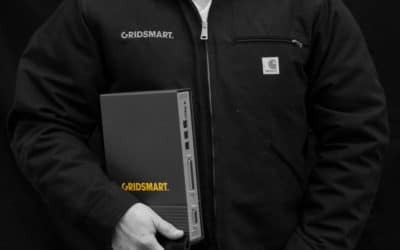 Regina: (00:05) From GRIDSMART Technologies. I’m Regina Hopper. Welcome to POLICYSMART. Regina: (00:10) All right. All right, here we go. Regina: (00:23) Alright, well first of all, welcome to this edition of POLICYSMART. Our podcast in 2019 is really going to focus on women and listen. Yes. And the great things that women are doing. And the woman that’s joining me today, Courtney Ehrlichman, I met her when I was first when I first went into ITS America, I remember. And you came up to me and you’re like anything you need, what can I help you with? And you were, you always were that way. And so Courtney, thank you for a few years ago and welcome. Thank you for having me. I’m really excited to be here. So I want to know what you’re doing because now that you, you were at Carnegie Mellon for a long time. Yes. And then you have kind of started off on your own, um, advisory firm. You are winning awards everywhere. You’re always in the top 100, top 10, top two women in transportation. Regina: (01:17) Tell us a little bit about what you’re doing. Courtney: (01:18) Well, first of all, when I was at Carnegie Mellon, I worked with a robotics researcher there and spun out a company called robotics, so I co-founded that and we just closed on a three point $9,000,000 seat and that company actually looks at road surface conditions using artificial intelligence, snapped onto cellphone cameras essentially. So it’s ubiquitous technology. Regina: (01:41) So did the cell phone cell sit in the car? Courtney: (01:44) They sit in the car and they collect the data essentially in real time using the camera on the cell phone so anyone can use it and that’s why it’s doing so well right now because it’s ubiquitous technology you can put it, you can use it with let’s think of Uber drivers or lyft drivers and sort of doubling an asset. So I did that and for me that’s really a focused, focused area in the industry vertical and for me I’m a systems thinker and I want to be having more impact on people out in the world, not just road managers. Courtney: (02:17) So I left Carnegie Mellon after we won our second National University Transportation Center via USDOT. I thought I was part of a great team and it was time for me to keep moving and have impact beyond research, so I started the Ehrlichman group, which is basically a disruptive technology and emerging mobility firm that advises economic development professionals, AEC professionals, urban planners, startups, venture capitalists, legislators and government agencies on the future of transportation. Regina: (02:54) That’s so amazing. Courtney: (02:54) That’s really fun. I get to choose the projects I work on and only with the people that I feel are doing good work. Regina: (03:02) Well, so you. Because of that, you’re really getting to see some of the cutting edge technologies because people are coming to you. So just this last week everybody was out at CES, which has turned into because it’s a technology show has turned transportation’s turned into technology show, right? So so much of what you see out there is, is technological. So if we were, I want to come back to the company because the seed venture, I mean that’s really great that you were able to get that much money and I want to come back to it, but before we do, what are the, like one or two things in 2019 that you see is going to sort of shape this new mobility? Um, field? Courtney: (03:38) Well first of all, I think the digitization of our world, so essentially infrastructure and allowing for road managers and politicians and anyone else to have access to a digital twin of what they need, information that they need for actual real-time decision making. Regina: (03:58) So what does that mean? You mean like so that they can literally see they’ve got the real road and they get the digitized road and they get to see here’s how the changes can be made? Courtney: (04:05) Yeah. If you think about, ah, Star Trek, how they can pull up a world or even that movie Avatar when they have the tree and they can just pop it up in 3D in front of them or Westworld where they could pull up the whole play area in red. That’s what I’m talking about. We can do that now with the lidar that’s out on the street, so there’s all this data being collected from DOT, municipalities, cities, engineering firms are collecting it. That is so much data that just needs to be processed by an inter…Intermediary and given to decision makers. Regina: (04:39) Hasn’t that always been kind of the biggest problem is there’s so much data and it’s like. I remember someone once saying it’s like it’s in a bathtub, but there’s no plug in the bottom. We’re just losing it because nobody knows what to do. Courtney: (04:54) So we’re talking about big data. We’re talking about how do you harness that data and turn it into information. That’s a cliche that we keep hearing in this industry is turning the data into useful information, but how do you also take that data and turn it into something that you can base decisions on and there’s… so there’s data analytics, there’s a few different areas. If there’s data analytics and there’s asset and infrastructure management, so the data analytics piece is being done by. That’s crunching the big data. What I’m talking about is asset and infrastructure management, which is giving decision makers access to real-time, real-time version of what’s out there on the streets. It’s not just the road bed, but their signage, foliage, what, what’s going to be going on with connected and automated vehicles. Let’s talk about curb management. I think 2019 is going to be the year of the curb along with digitization of infrastructure. Regina: (05:53) The year of the curb? Courtney: (05:54) The year of the curb. Yes. Yeah. Regina: (05:56) Tell me more. Courtney: (05:57) Well, I mean her policy is something that’s being talked a lot about in terms of shared use mobility. If we’re thinking about even even just thinking about bus stops and making sure that they’re accessible, so the curb needs to be ADA compliant, but also that curve needs to be shared now with a lot of different providers, not just the bus but tncs paratrain, paratransit. There’s bike lanes that are, you know, those need to be integrated in with ADA accessibility needs, so a paratransit bus or van needs to be able to access that bike lane to access the curb. So there’s going to be a lot of tension around access to the curb. I know San Francisco is essentially saying if you’re not meeting a certain criteria for them, you don’t get access to the curb and that’s how they’re incentivized it incentivizing tncs to meet certain criteria and policy standards. Regina: (06:53) So. So this is all having to take place at the local and the state level. Right? So you’re going to see California or San Francisco do one thing, maybe LA do another thing. The state of California do something different than Nevada, Nevada doing something different than Pennsylvania. Is that the way? Is that the way it should be? Courtney: (07:10) No I mean, the other thing, there’s two other things that need to happen. We need to have a safety framework for autonomous vehicles come down from the federal level. A really wonderful, but we need to do that. Uh, some states are hesitant in other states are, you know, going wild west. Regina: (07:27) So your state, Pennsylvania, you guys have kind of jumped right on out there. Courtney: (07:30) Yeah, we’re, we’re, we’re, we’re definitely making use of all the technology that’s being developed in house in Pennsylvania at Carnegie Mellon University and the other universities there. Penn State University of Pittsburgh and we’ve partnered with Ohio and Michigan for the smart belt a corridor which is going from rust belt to smart belt if you didn’t pick up on that and that will be for testing connected technologies and freight. Um, but another thing that needs to be discussed is 5G versus DSRC and we saw that coming out of CES with Ford making their announcement, but really preparing communities to be able to make those decisions and having the right policies in place to make sure that everyone wins. Regina: (08:17) You know, to me the hardest thing about what I just lump in is new mobility, the hardest thing is that there’s so many good ideas. I mean, you know, I was in Dallas a couple, three weeks ago and now they’ve got the scooters, the motorized scooters, right? So calling access to the curb, right? Regina: (08:34) Um, now those are becoming um driven by technology as opposed to just driven by the human being. You’ve got bikes, you’ve got scooters, you got autonomous vehicles, you’ve got connected vehicles, you’ve got freight movement, you’ve got paratransit movement, you’ve got all of this is happening at the same time. And if you are a DOT head, whether it be a city, a county, or a state, or even the USDOT, how do you pull all of this together? You know, because somebody’s going to come in and say, oh, well you need to do this. Then somebody else is going to come and say, well, don’t worry about that. Worry about this. Regina: (09:11) How does it all come together? Courtney: (09:12) I think it really comes down to experiments. So for example, there are some cities that are experimenting with AV testing. We know that’s happening in Phoenix, there are some cities experimenting with curb access and incentives. San Francisco, there are some cities that are experimenting with autonomous vehicle shuttles, low speed AVs, Columbus is doing that, and other cities will fall in suit. There’s plenty of them, Mcity, so we just need to be looking at those experiments and learning lessons from them and learning best practices. I think cities also need to be in touch with their actual community and know what their values are and really serve not just the young and hip. They are going to be using the scooters, but also, you know, dealing with equity issues and the agent, you know, are. We have an aging population, so equity is a huge, huge piece and I think we’re going to be seeing a lot of cities in DOT heads putting their money where their mouth is in terms of equity. Regina: (10:17) Yeah. So in, in your line of work, what are you seeing? Everybody’s kind of at the starting gate, right? There are a few people that are at a little bit further. Autonomous is a little bit, shuttle is a little bit, but if everybody was equal at the starting gate right now at 2019, what do you think at the end of the year we’re going to see adaptation, adoption, um, regulation of? Is it going to be autonomous, is it going to be connected and autonomous? Is it just going to be connected where, where, who’s going to be the winner at the end of this year? Courtney: (10:46) I actually think personally what I’m seeing, and this might just be my personal point of view as well. I do live in Pittsburgh, so I am in the middle of AV testing world. I see all of the companies testing on the street. It’s almost like we’re used to it. And what was interesting and just a little side note before I give you your answer, in the city of Pittsburgh, we have an advocacy group called bike Pittsburgh and they did a survey of all of their members, about 3,500 members. How do they feel about these AV testers on the street? How do they feel around the vehicles? Well, to everyone’s surprise they felt safer. Regina: (11:23) With the AVs? Courtney: (11:24) With the AVS because they know they have sensors all around them more than the two sensors of a human, of a human, right, and they’re going to re, re, re, uh, issue that survey again, following up after the loss of Elaine Herzog and in Arizona. But I think, you know, public acceptance around AVs is going to be something that we’re going to see with more and more LSAVs, the low speed AV shuttles rolling out. I know that there’s legislation across the country, uh, executive orders being released across the country by governors to get the LSAVs, the autonomous shuttles on the street. In terms of connectivity, I do think that connected vehicles are going to see a huge rush this year in terms of infotainment being connected in Alexa and here are partnering, you know, all this. All these announcements out of CES is, are really exciting. And I think connectivity actually gives us the, the connected vehicle space, connecting, connecting to infrastructure that really does give us a leg up in terms of the safety outcomes that we’re trying to reach in our transportation system. Regina: (12:31) So who, who wins at the end, the autonomous, connected, autonomous and connected. What do you think? Courtney: (12:38) At the end of 2019? Courtney: (12:40) I think it’s a, I think it’s a tie. I think they need to come together. I think autonomous shuttles, autonomous vehicles need to pair with connectivity because they’re not developing to be interoperable across systems. 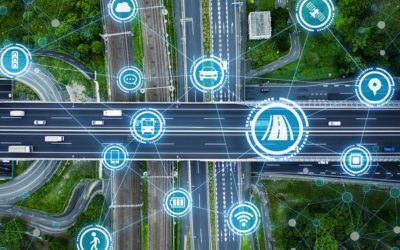 And what gives that interoperability is the connection, the connected vehicle aspects. Courtney: (13:06) And ride in them, yes. Regina: (13:07) And ride in them daily, I guess if you really wanted to. Most people have not had that experience and most people won’t. Right? I mean doing these test beds in every community all over the country. So tell people who haven’t experienced that, what it’s really like. So yes, on a day to day basis. Courtney: (13:27) So the first, my most memorable experience in an autonomous vehicle was actually riding in Carnegie Mellon’s Cadillac Suv down and right here in DC at the capitol. We were taking a legislators on rides. It was also the same day that the supreme court was hearing arguments from the TNCs versus taxis. So there was an interesting time to be down here and there were a bunch of taxis, you know, around the supreme court protesting TNCs and lots of foot traffic. So we needed. I was going on the warmup ride, the warmup ride and riding in that vehicle felt like writing with my grandmother. And I’m not talking about like the old women in Florida who veer off the street. I’m talking about being extremely cautious. Anytime a pedestrian would come towards the car, the car slows down. In fact, we did a ride at Carnegie Mellon 33 miles on a, on a highway. And the main issue was that the press was getting too close to the car. So the car kept moving and moving out of its lane. And also it was going the speed limit. So it was causing problems because it was slow. I also had the opportunity to ride an autonomous shuttles, so that’s a, you know, eight to ten people a riding in a vehicle I wrote in the Navea vehicle and in France and that was really splendid. It was very hot in there. There was lots of sun that day, but it moved also very cautiously and very slowly. There was a moment I, I have to say I was panic stricken because there were so many people at the world congress event and they were moving towards the vehicle and it, it just stopped and redirected. So it is actually really safe and of course there are, there are lots of safety measures that need to be put in place with the code and definitely a framework for safety regulation. But I think, you know, all, all in all people will feel more comfortable in AVs as they get to experience them more. Regina: (15:29) So how important is this DSRC versus five g in your mind and how real is this coming down coming down the road? Courtney: (15:39) That’s a really good question. So in terms of Cybersecurity, which I am now diving into and in my background, I’m, you know, I’m not busy enough so I’m taking night classes at Carnegie Mellon to really understand the cybersecurity issues out there because this is a big issue because everyone talks about that, you know, you could even when the cars are connected, you could hack into them and actually create a mob, a taking control of these vehicles. Regina: (16:13) And everybody was like, we need more, we need more info, you know, because it is, if it’s the one thing other than like, can a car really drive without a human being and make the right judgemental decisions, it is the cyber thing or can it be hacked? Is that going to be, you know, a rolling terrorist attack? Courtney: (16:33) Yes, it can be hacked. But actually 5G starts to mitigate some of those issues. Uh, I was doing a little research on this after the Ford announcement and also thinking about just cybersecurity and vehicles. Um, 5G has the ability to mitigate with it’s sort of magnification. Uh, and it’s just a node, but it is allowing, since there’s so many more nodes you can, you can stop an attack much easier. Regina: (16:59) So do you think from a policy perspective, and this is something that, that it’s been going on for years, right? Yes. RC versus whatever. Now it’s 5G because they, telecoms are saying no, 5Gs really real. We’re going to be able to deploy it. Um, but it’s tough to deploy 5G, you know, the small antennas that you have to have everywhere. Um, the latencies great when you get it, but if you don’t have it, you don’t have it. Courtney: (17:23) And some communities are actually protesting it, like Oakland, California, they don’t want the ugly nodes around and there’s a lot of policy and procedure that has to take place to get the permits to fix those nodes. And so there’s gonna. It’s not gonna cover everything and it only a 5G covers a thousand feet. DSRC goes a lot further than that. So I think you’re going to see both. I’m not really sure, uh, how they’re going to together, but there’s already been so much investment in DSRC within the industry, within the, ITS industry, federal research. We’re going to be hearing about it here at TRB. So 20, 25 years of research and test beds. We already have that. We have that under our belt. So why not deploy some of that? It’s going to be fragmented. Just like Wifi is fragmented right now across the country. You know, we need, we need broadband in rural areas. Regina: (18:17) We do. Yeah, we did. So it’s interesting how so many of these, what we used to be vertical industries have now all come together. Courtney: (18:25) That’s right. That’s right. Yeah. Courtney: (18:39) They’re all in the bathtub together! Courtney: (19:03) Right. I agree. I mean that was one of the projects that I worked on for the Ford City of tomorrow challenge that my team was successful in winning and Pittsburgh called safe shifts and that’s actually mobility as a service, which is a whole other deal that we’re going to see happening in 2019. I mean, there’s just so much going on. It’s a very, very rich industry right now because it is basically crashing down all these silos. So in terms of equity in this mobility as a service program, uh, that one, the city of tomorrow challenge again in Pittsburgh is addressing actually a women’s issues and night shift issues. So in the context of Pittsburgh, we have a major healthcare industry, uh, lots of major hospitals there and we have workers that clean those hospitals at night that keep those hospital running, hospitals running 24 hours a day so that you can be taken care of so your health can be taken care of and doctors can provide the care that they need to. Courtney: (20:01) But you know what, we don’t have, we don’t have transportation, we don’t have options and opportunities for these mostly female workers to get to work safely at night. We know lower socioeconomic folks are being pushed out of the city centers of urban center. So we heard actually from people in Pittsburgh that they’re taking two to three bus lines or they’re driving or having someone drive them to work. And if they can’t rely on the transit service, if they miss a connection. So what we decided to do for our project was take under utilized transit assets, leveraging our paratransit vans at night. A snapping on, uh, some data analytics to figure out where the night shift workers are partnering with employers and actually doing mobility on demand as a service to get those night shift workers to where they need to be. And there was a report that came out of NYU that women do, do feel they feel less safe on transit at night. Courtney: (21:05) So this mitigates that concern. Yeah. They pay $26 women pay $26 to $50 more a month taking alternate forms of transportation other than transit to commute. So we’re also addressing that need and we’re keeping it in a. we’re keeping it managed by transit. So we’re not cannibalizing transit, you know, we’re, we’re making sure that transit is driving mobility as a service in Pittsburgh. Regina: (21:33) So if you could do one thing in the new mobility field. Courtney: (21:35) Oh my goodness. Regina: (21:36) I know it’s tough because you, because you do have the ability to look out across a broad range of topics when it comes to this, is there one thing? And if you, if you say no, it isn’t one thing, it’s fine, but I mean, is there one thing that really, like this is what gets you up in the morning and makes you want to do this? Courtney: (21:54) I think it’s actually saving lives. I mean in that everyone, you know, it was just at transportation camp yesterday and we were talking about people’s mobility stories. So I have my own mobility story and I think, you know, we talked about that when you came to Pittsburgh, my, my best friend was killed riding her, well, standing at a light stop, lay on her bicycle, uh, when I actually recently did a Tedx talk and one of the other speakers was a gentleman who was racially profiled, pulled over by the police, shot five times and paralyzed for just a routine traffic stop. And he’s now running for city council. He’s an amazing, amazing person. Leon Ford. And he came to me and said, you know, what autonomous vehicles can do for me and my community. They can eliminate racial profiling. That’s a huge issue that not a lot of transportation professionals are thinking about. Courtney: (22:49) So it’s those, it’s the people that I want to, you know, I want to address people’s real issues. It’s not about, you know, how fast can we move freight around, it’s how can we change the everyday person’s life. Regina: (23:04) That’s great. Well congratulations. Courtney: (23:13) Yeah, taking a risk, thank you. Regina: (23:15) It’s very exciting. And I know that you’re going to be at south by southwest, um, telling a little bit what you doing with robotics at south by southwest because this whole funding thing is really cool. Courtney: (23:24) Yeah. So robotics just closed on a seed round and so two years ago I pitched to the US conference of mayors there and came in second place that was sort of a, one of the tracks at south by southwest. And this year robotics is actually in the official south by southwest pitch competition. So yeah, hopefully winning some more money and getting some more press and more clients. Regina: (23:48) Well congratulations. We’re going to be there, so we’ll want to see how well we will definitely keep our fingers crossed. You. Courtney. Thank you. Courtney: (23:54) Thank you Regina. Catch up to you too. Regina: (23:57) Thanks. All right. Okay. Thanks everybody, so thanks so much for listening and participating in the POLICYSMART podcast. 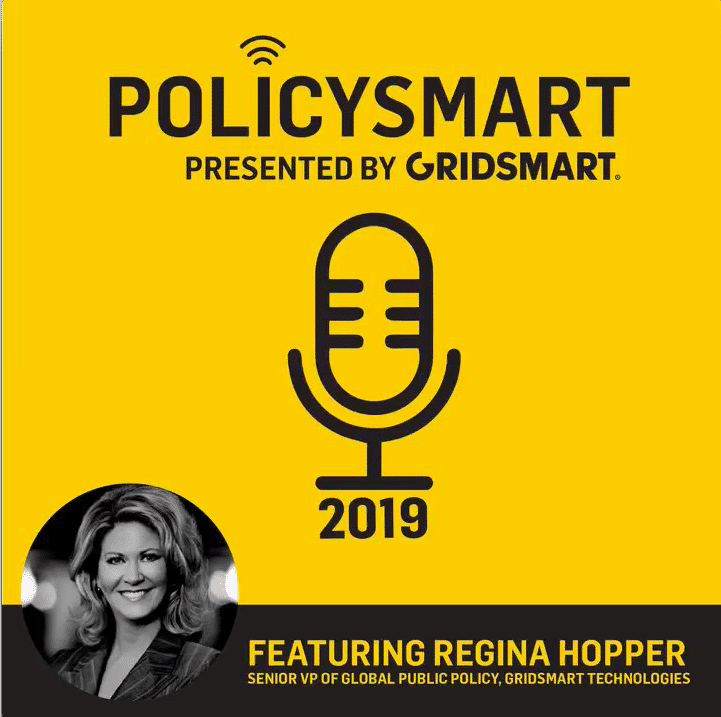 You can download the policy smart app on the apple app store and Google play and you can listen to the podcast on apple podcast, Google play, and now on spotify. And also please leave a review to help people like you those interested in the next generation of mobility and intelligent transportation find us.